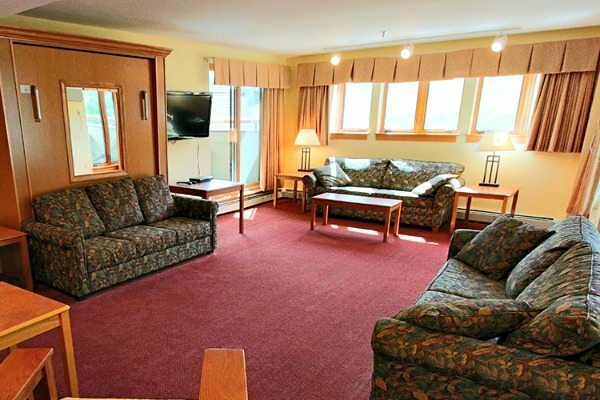 Loon Mountain Resort is the perfect place to make family memories. From skiing to ice skating, Loon Mountain Resort you’ll have a blast this winter with your family. Having the kitchen, which is fully stocked with plates, utensils, and even cooking/baking dishes makes staying here even easier for families with picky children or those with allergies. We packed along snacks, muffins and juice for breakfast to save a little money on dining out. And if you don’t want to leave your room, there are two TVs, and then of course all the amenities right on site. I suggest requesting a room not on the 10th level. 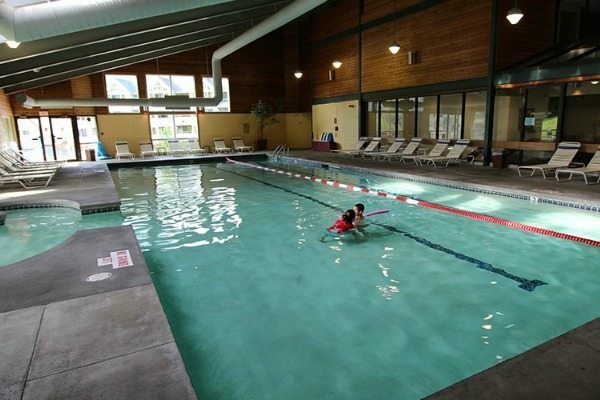 The 10th level with the restaurant, pool, Viaggio Spa, and indoor sports facilities etc are located on this floor so it tends to have more traffic than other levels of the Loon Mountain Club. While Mr. Juggling Act has often skied, I am a totally novice, and the kids have never skied before. We decided to take advantage of the many other forms of outdoor activity and save skiing for another time. 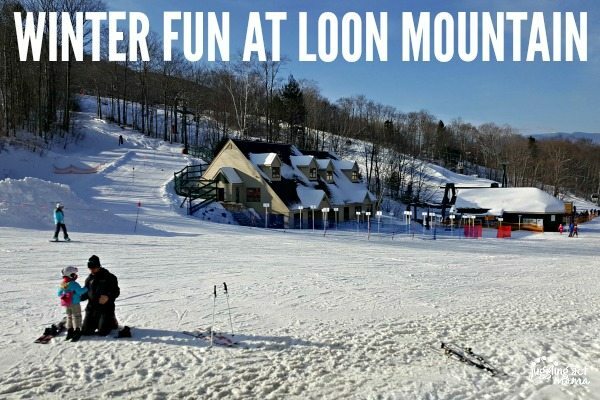 Loon Mountain Resort offers tons of Winter Activities. 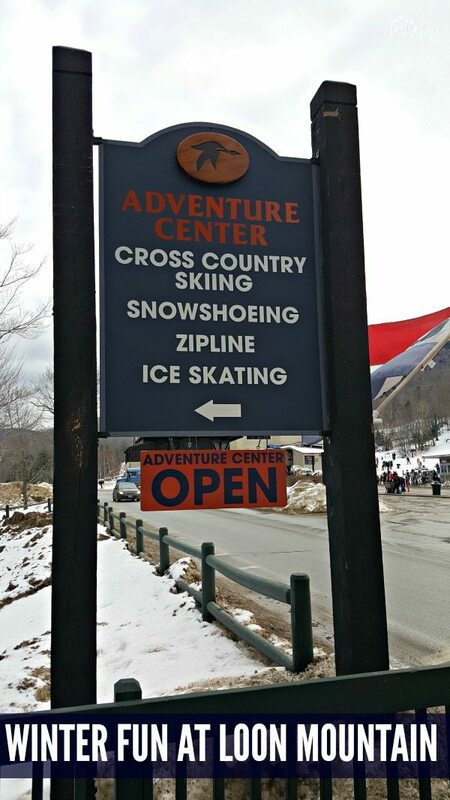 Opting to try something new, we decided to go snow tubing. You’ll need to make a reservation and pay a deposit. There is an area called “Tiny Tots” for smaller children (under 50lbs). 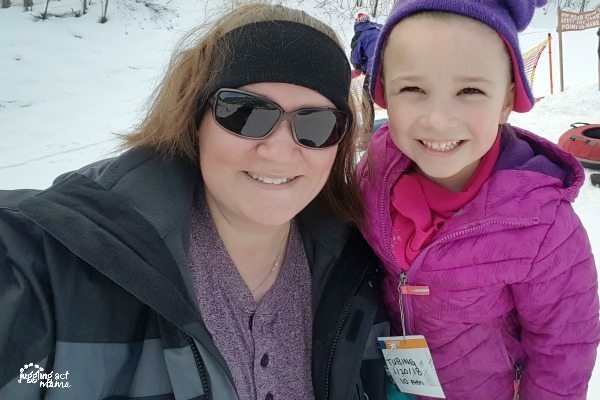 Older children and adults can take the chair lift to the top of the snow tubing run. Mr. Juggling Act and Ethan, our family dare devils headed to the chair lift while Olivia and I went run after run on the small slope. She had an absolute blast; the shrieking and giggling was infectious! She probably went two dozen times easily. Meanwhile, the boys were able to make about 6 runs. It depends on how many other people are turning and how long the line is for the chair lift, of course. The attendants were very friendly and helpful and this was such an amazing part of our trip. Both kids didn’t want to leave when our hour was up! As I laced up Olivia’s skates, she squealed “This is my dream come true!” I’m not sure if she thought she was going to be Bradie Tennell out there on the ice right off the bat or what. Slipping on the ice and landing on her bottom a few times did not deter her one bit! 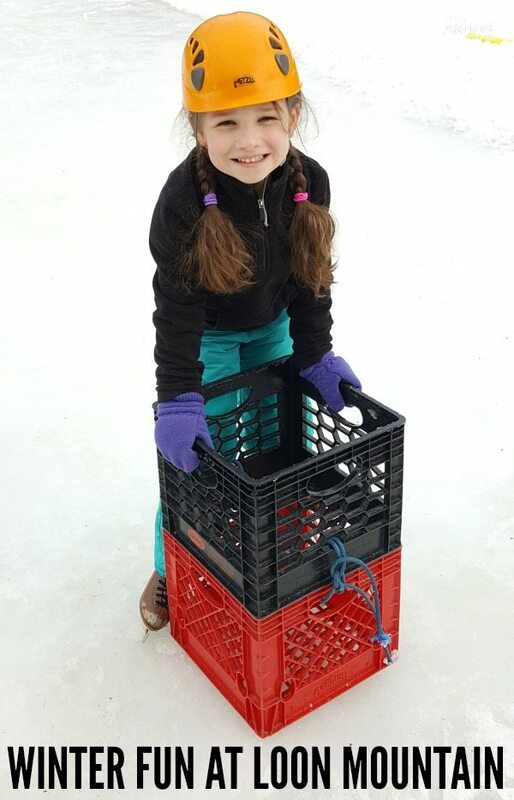 She used the milk crates to help steady herself and had a ball. 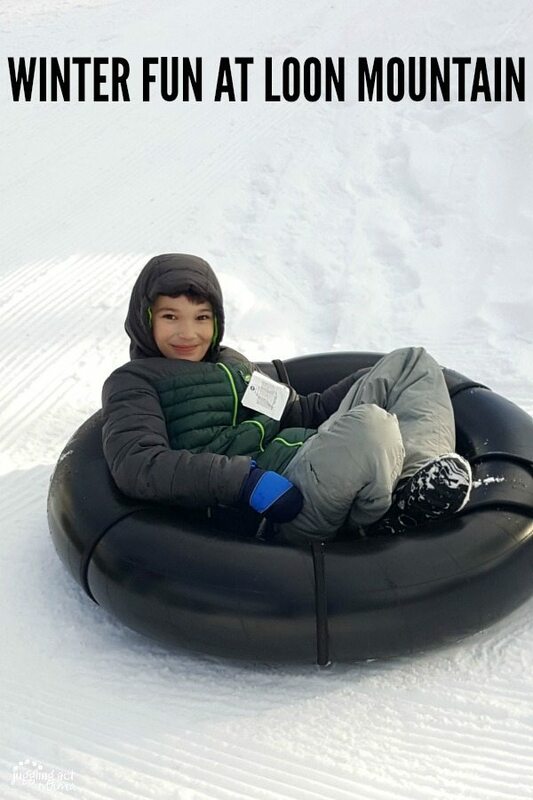 Loon Mountain Resort is definitely a fun family getaway anytime of year, but there’s something really special about going in the winter! I hope you get a chance to go soon. This place looks like a lot of fun. My husband and I were just talking about going on a short trip like this since the kids don’t have school MLK day. It looks like a fun place so I looked around and I found a deal online so we’re going next weekend!! That’s so cool! I hope you have a blast! !